Monsoon Trekking Nepal is most popular at Annapurna Circuit, Rainshadow short trek, which is preferable during June July & August. 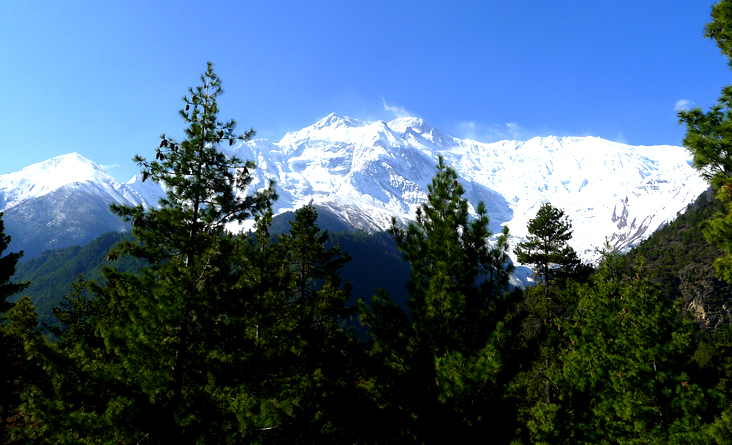 Most of the trekking region is wet at monsoon season, but Annapurna Circuit is doable at Monsoon time because of less rain and not touchable by Cherapunji weathers while behind Annapurna Himalayas rim and close of the Tibet. Annapurna Circuit is the best opportunity for the monsoon trek, feel the real diversification of Nepal, geography climate, greenery vegetations; fast running snow melts Marsyandi River and more local people in the villages for farming. Enjoy a hike in the less trekker’s trails traffic to green valley lands and waterfalls view. 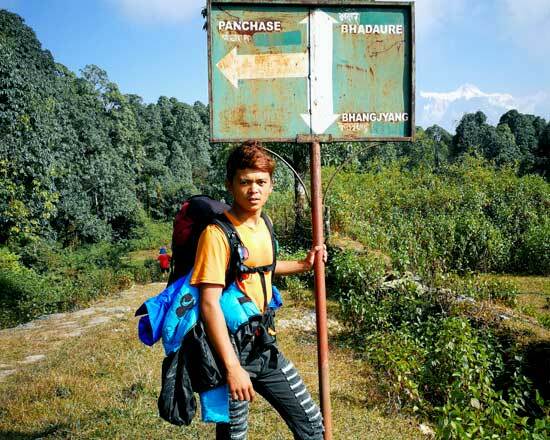 Thorang Pass is more accessible for monsoon time while less snow on the top of 5,416 m. Elevation pass, but due to high passes anybody can have altitude sickness. There is horse also available at Thorong la high camp and base camp-If incase Altitude problem for the pass, need to inform your guide, and quick guide will arrange pony for the pass, after Thorong la pass the scenery is different than Marsyandi valley. 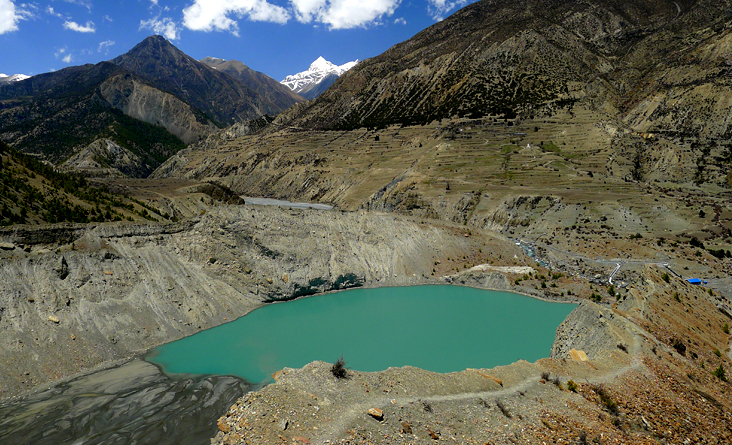 More greenery is Marsyandi valley, and Kali Gandaki-Jomsom valley is the more dries valley. The weather is Favorable in this area Because of the unique geography connect landscape Tibet climate of Nepal. Trekking in monsoon time is a blessing for the filming high peak Himalayas, photography, meadows blossom flowers, lush vegetation, make the perfect trekking tours of Annapurna Circuit beauty. 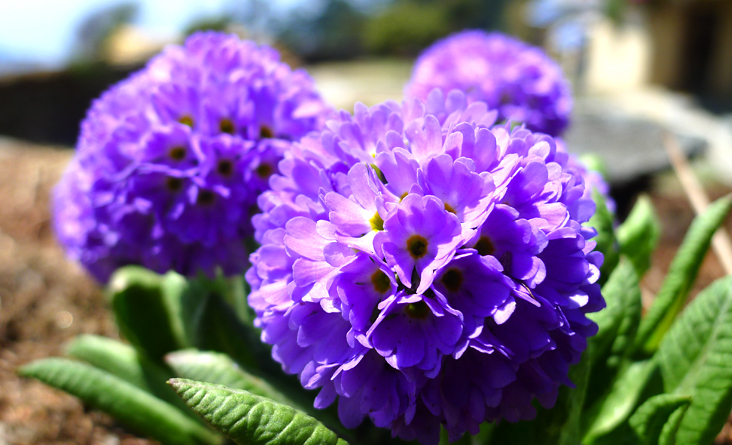 Rest of trekking region also ordinarily clear from morning until afternoon time and evening time can rain, cloud, but all the hills are alive with blooming wildflowers like magnolia and other colorful wildflowers and spectacular views of the mountain range with snow-capped. 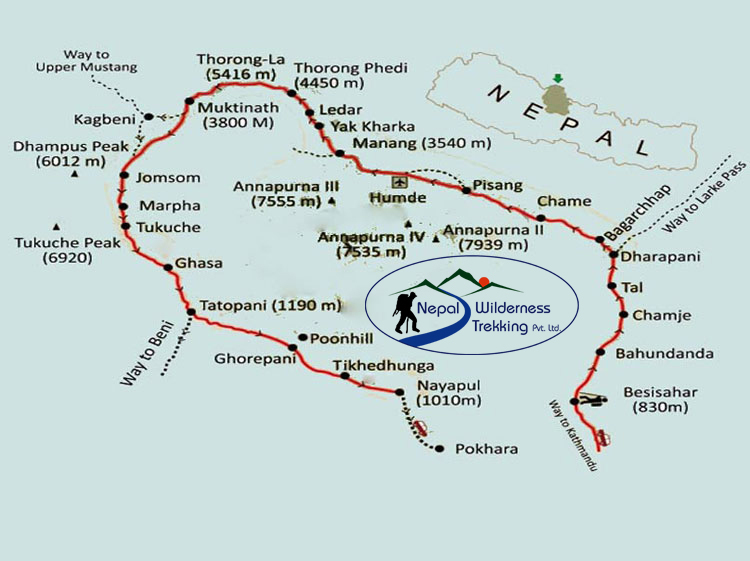 The Monsoon period trekking area is the Annapurna Circuit beautiful view rain shadow areas on the north side of the Himalayas; there are other regions such as Upper Mustang, Nar Phu Valley and Upper Dolpo. The part of the trekking region usually is not affected by the monsoon rain due to its geographical location lies in rain shadow area close to Tibet. 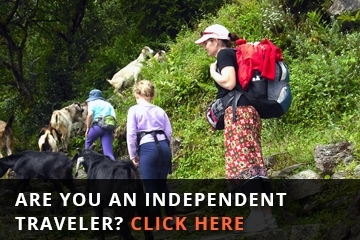 The 13 days Monsoon trekking package is including from arrival to departure. Pick up- drop services, hotel in Kathmandu BB basis, full day sightseeing at Kathmandu, experience guide and familiar porters, bus to Besi Sahar and jeep to Chame, 3 time meals during the trekking, nice and clean accommodations, Jomsom Pokhara flight tickets, bus transportations, ACAP, and TIMS permits are including in the services. 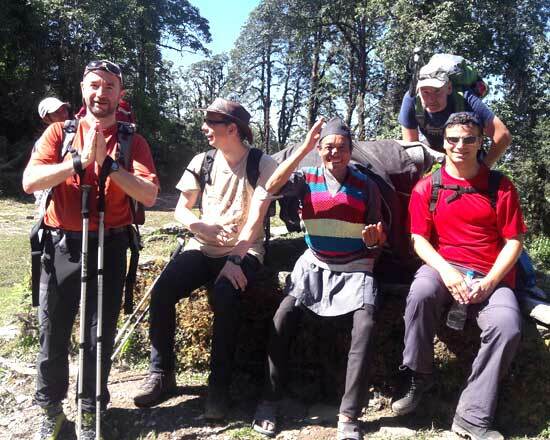 If you are searching the monsoon trek in Nepal, please don’t miss out this competitive price opportunity of Nepal Wilderness trekking guides family, to validate your memorable quality time with us at your lifetime memo. Day 01: Arrive international airport in Kathmandu and transport to the selected hotel at Thamel, The hotel in the Thamel area of Kathmandu which is renowned for its many restaurants, shops, bars, and nightclubs, etc. which cater for the tourists. 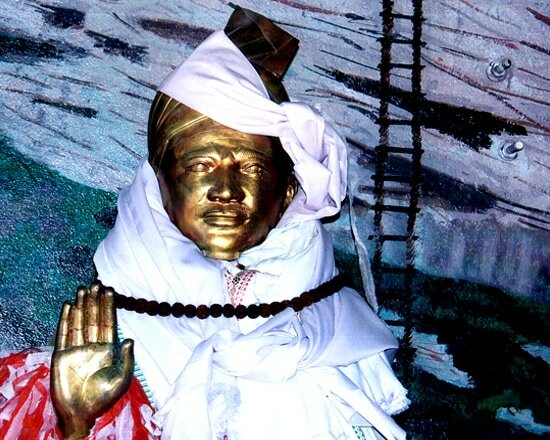 Day 02: Kathmandu Valley full day sightseeing with a professional tour guide. Day 03: Drive to Besisahar (823 Meters. 6 hours driving) by public bus and jeep to Chame (2715 Meters. Stay overnight at lodge. Day 04: Trek to Pisang (3132 Meters.. 6 hours walking) stay overnight at lodge. Day 05: Trek to Manang (3341 Meters. 5 hours walking) stay overnight at lodge. Day 06: Rest day in the same place for acclimatization. Day 07: Trek to Chauri latter(3720 Meters. 3/4 hours walking) stay overnight at lodge. Day 08: Trek to Thorong Phedi(3900 Meters.. 3 hours walking) stay overnight at lodge. Day 09: Trek early in the morning Thorong Pass (5416 Meters.. 8 hours walking) overnight at Muktinath(3900 Meters. ) stay overnight at lodge. Day 11: Early morning fly back to Pokhara and rest day in Pokhara stay overnight at lodge. Day 13: Departure to International Airport to fly your home country. We will provide you with transport to international Tribhuvan airports. Kathmandu Airport to Hotel by privet car. Kathmandu Valley Sightseeing with the professional tour guide. 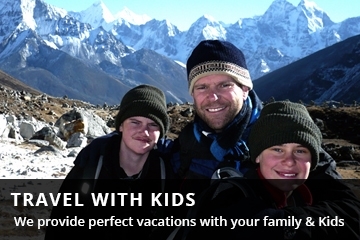 Jomsom to Pokhara by flight and Pokhara to Kathmandu by tourist bus. 1-nights clean hotel in Pokhara at Lakeside. 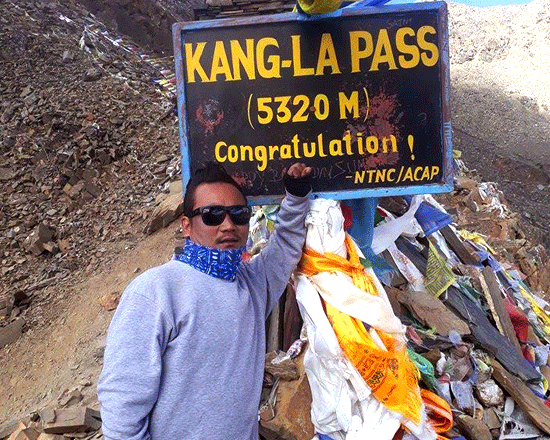 I was doing with Himal the Annapurna circuit monsoon trek from Bulbule to Jomsom. It was a pleasant experience. 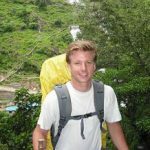 Himal has a lot of experience with visitors but at the same time gives a valuable insight into the Nepali life and culture. We had a lovely time together. It was so easy to get along with Himal, having an interesting conversation when trekking through amazingly beautiful regions of the Himalaya. At the same time, we could get incredibly inspired by the astonishing surrounding Himalaya. Thank you, Himal for this time.